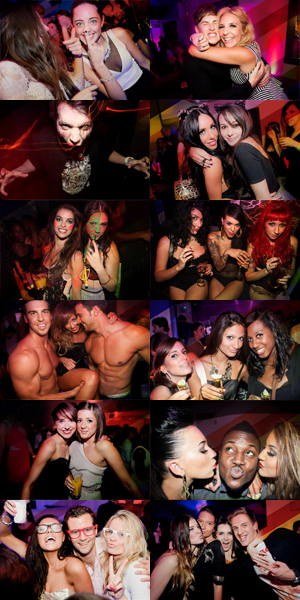 Kensington Roof Gardens Nightclub - The Hottest London Nightclubs - Get on the Guestlist & Book a table! Kensington Roof Gardens is quite famous for being the only bar and nightclub set on a rooftop. This means when you come to the Kensington Roof Gardens Nightclub, you’re going to be partying in style! This private members only nightclub is a beautiful piece of sanctuary where you’re able to feel very glamorous because of the stunning surroundings. Previously Derry and Toms Roof Gardens, Kensington Roof Gardens is the largest roof garden in Europe. Since it’s not visible from the street, simply look for the Virgin flags on top of the building. There’s a magnificent cocktail bar, large dance floor, and even VIP area’s available for those who want a little more privacy. Just the right place for summer parties, you’ll always remember your night out at Kensington Roof Gardens Night Club: especially the magnificent view of London. Getting on the Kensington Roof Gardens GuestList is a must! If you don’t like crowds, you can book a ‘Pre-Club Party’ between the hours of 7:00 & 10:00, on either Friday or Saturday night, and then have fun drinking and dancing until the wee hours of the morning. Kensington Roof Gardens is also available for private hire for up to 400 people. Our Silver Bar or Spanish Hideaway is really popular and allows up to 40 people. It’s necessary to get on the Kensington Roof Gardens GuestList to get into the Kensington Roof Gardens and book private parties. You can contact us to find out more about getting on the Kensington Roof Gardens GuestList. The Saturday night crowd includes everyone who likes to have a good time! Celeb’s often make an appearance, with Sienna Miller and Jade Jaeggar being see recently. The hip and cool crowd makes the ambiance one that is both invigorating and unassuming. The music includes all the latest hits, which gets everyone up on the dance floor so they can start getting their groove on! Whether you want to enjoy a relaxing day surrounded by flourishing gardens with gorgeous views of the city, or a fun night out of drinking and dancing, Kensington Roof Gardens GuestList is the place to be!